Hyundai i20 2018 India specific edition model is here ! The company has made some cosmetic changes to this car.This is because it is now getting tough competition from Maruti Baleno. The premium hatchback car has been a popular offering with more than average of 11K its units old every month.Its sales have been consistant since 2008 when it was launched. 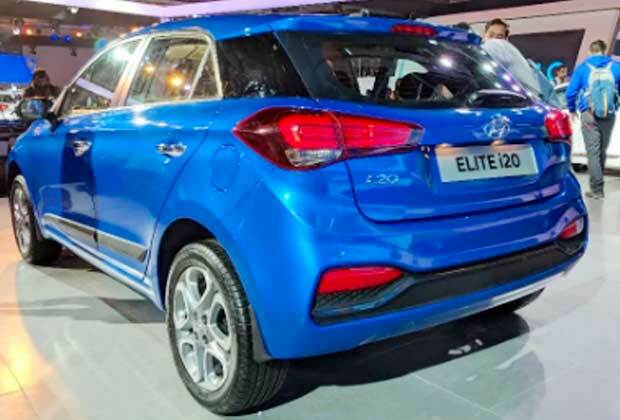 Hyundai Elite i20 diesel (89 BHP) price ranges between 5.34 lakhs to 9.15 lakhs.It is also offered in 1.2L petrol engine which has a power output of 82 BHP. 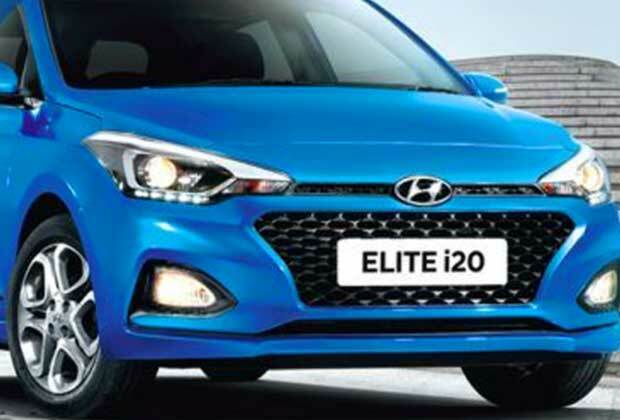 The new Hyundai i20 2018 model front now sports a new look and stylish with introduction of curvy hexagonal grill.The headlamps of new i20 have been given LED DRLs (Daytime Running Lamps) and projector units. The basic design of the car , however , has not received major changes. The back light of Hyundai i20 has seen a change in its look with more similarity now to Mercedes GLA. AT the back side it now features a pair of new tail lamps and dual tone bumpers. 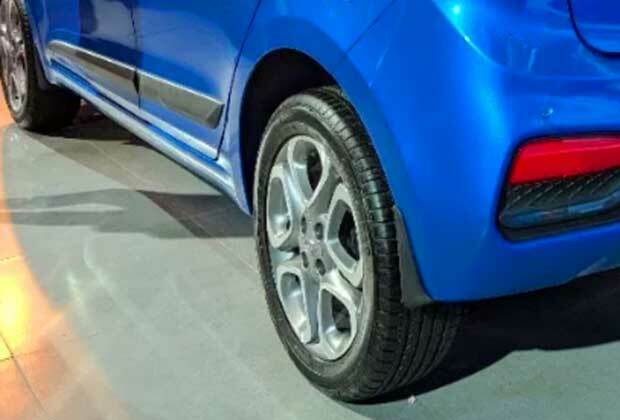 The new model of Hyundai i20 2018 car has been introduced with alloy wheel option. 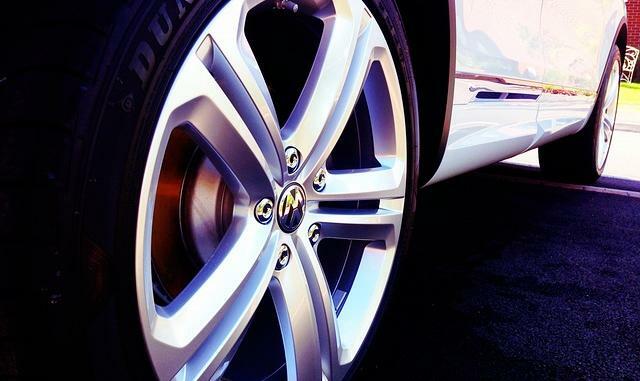 The 16-inch diamond cut alloy wheels is well noticeable when you glance through the exterior of the car. 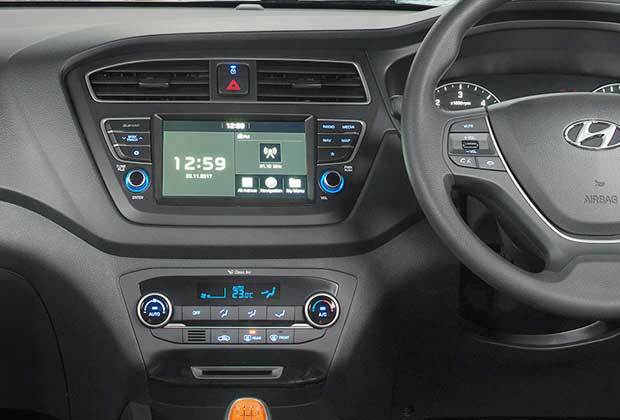 No major changes has been witnessed in the interior of 2018 Hyundai i20 edition.What you see now is a new touch screen infotainment system which is impressively responsive and readable in a sunny day.The previous version features – mirror link , android auto and apple car play accompanies this years model as well. 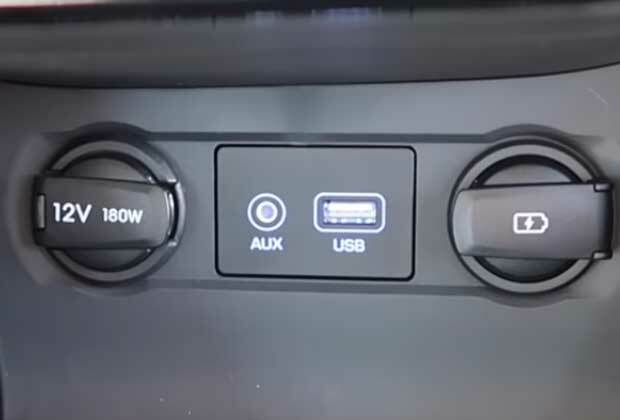 The newly updated Hyundai i20 facelift edition of 2018 has also been given 12V USB port that supports faster charging.It is fitted below dash board. While dual airbags and ABS is standard across all variants its top variant comes with 6-airbags. The car has received minor changes in its suspension and now in this facelift update 2018 its mileage has also improved by 9%. 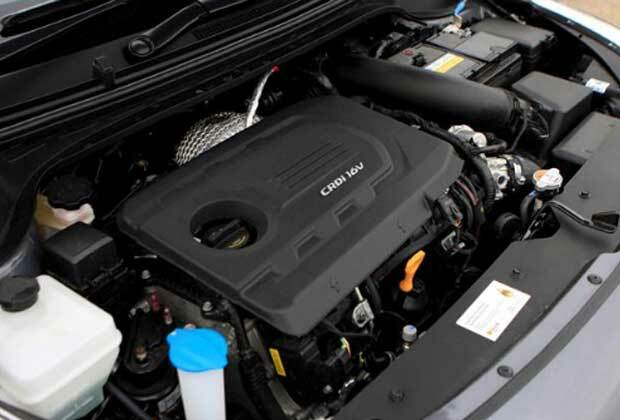 Engine like before is using the 1.2L petrol and 1.4L 6-speed gearbox diesel versions.Both fuel types engine have been fine-tuned for city/highway journeys.1.2L petrol engine of Hyundai i20 is also available in AMT gearbox. However , unlike diesel version, Hyundai i20’s petrol version looks less powerful especially when you need to overtake at high speed. 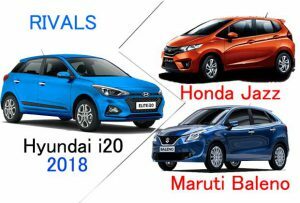 Honda Jazz is the nearest rival to i20 if comparison is based on quality and premium look.In terms of value of money Maruti Baleno competes with Hyundai i20 2018 India model. Not to forget that although selective Baleno variants have an edge in terms of mileage and features , Hyundai i20 , build quality and premium appeal has no match at all. Buying an SUV car this Diwali ? , these are the hot selling models !